Chick Corea, one of the acts performing at the Malta Jazz Festival 2018. The early bird tickets for the Malta Jazz Festival are now on sale, Festivals Malta has announced. This year’s edition, which runs from 16 to 21 July will be a special one, with iconic performers as well as an attractive world jazz element, seeing as Valletta is European Capital of Culture (ECoC). Following from last year’s success, the festival will also feature free lunchtime concerts as well as masterclasses. The festival, which runs from 16 to 21 July, boasts three of the biggest names in jazz today, namely Chick Corea, Christian McBride and Karim Ziad. Held over six days in various venues across Valletta’s historical setting, the festival promises to be one of the highlights of the summer festivals, presenting an eclectic range of styles which make up the contemporary jazz scene. The festival will open with three free events on 16 July: a concert featuring Vinny Vella on piano, singer Andreana Debattista, Anthony Saliba on bass and Joe Micallef on drums will usher in the 2018 edition of the festival, just outside the Parliament Building. The festival will be officially launched at the Phoenicia Hotel, Floriana, the festival’s main partner, at 8:30 p.m. on the same day with a concert by the Stjepko Gut quintet and Jazz Island, a photographic exhibition by Joe Smith, the latter which will be open till 21 July. The all-embracing line-up of the festival stretches further boundaries this year with Karim Ziad, who will bring his unique blend of jazz, gnaoua and other North African rhythms to Malta. The Brazilian legend Joâo Bosco, which The New York Times described as “one of Brazil’s most fabled guitarists, singers and composers” will be back in Malta to close this year’s special edition of the festival. The acts on Friday, 20 July will feature Christian McBride’s New Jawn, a killer tight and soulful unit. Powered by a relentless energy and a boundless love of swing, five-time Grammy winner Christian McBride’s path has seen a continuous positive arc since his arrival on the scene. With a career now blazing into its third decade, the Philadelphia native has become one of the most requested, most recorded, and most respected figures in the music world today. Also performing on the same day is the newly formed BOKANTÉ ensemble. Meaning ‘ensemble’ in Creole, BOKANTÉ is Snarky Puppy founder and GroundUP Music creator Michael League’s experiment. Eight musicians from four continents come together to create a diverse ensemble rich in groove, melody, and soul. 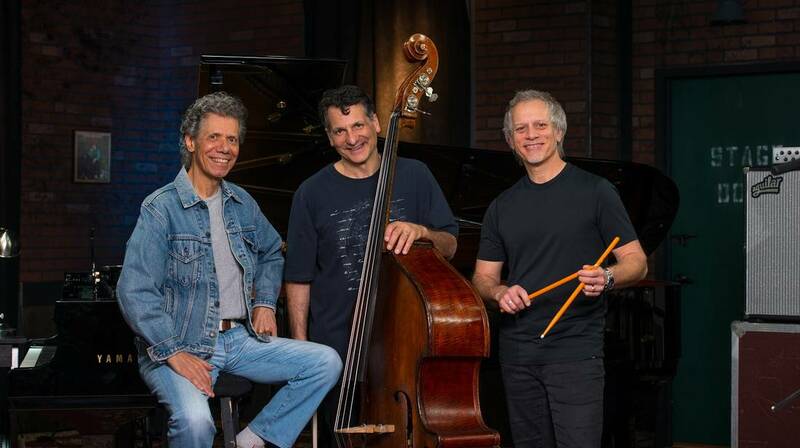 The American jazz, and jazz fusion pianist, keyboardist and composer Chick Corea will be reunited with longtime brothers-in-music John Patitucci and Dave Weckl as the Chick Corea Trio on Saturday, 21 July. Expect Chick’s signature boundless energy on piano and brilliant songwriting, John’s unparalleled mastery on the bass, and Dave’s unmistakable brilliance on drums. The Malta Jazz Festival is grateful to its main partner, The Phoenicia Hotel. It is organised by Festivals Malta within the Ministry for Justice, Culture and Local Government, with the support of Valletta 2018, the Malta Tourism Authority, Mapfre MSV Life, Farsons and Offbeat Music Bar. The early bird ticket prices for the events at Ta’ Liesse on 20 and 21 July are as follows: one-day ticket €15 (standard price €20); one-day gold ticket €25 (standard price: €30); Block early-bird tickets covering both 20 and 21 July are as follows: €30 (standard price: €35); gold tickets: €40 (standard price: €50). Concession tickets are as follows: Student and over 60 tickets are always €15 per day; and €30 for a block ticket (two days). Children under 12 always enter for free. All other events are free. The Malta Jazz Festival presents its annual masterclass series featuring some great musicians from the international jazz scene. Participation is free but the number of participants is limited. Priority will be given to practising musicians. The sessions are one and a half hours long. Please send an e-mail to [email protected] indicating masterclass, level and phone number. Applications are open on 14 May. Applications before this date won’t be considered. The masterclasses will be held at the Offbeat Music Bar at 106 Merchant’s Street, Valletta. Monday 16 July, 5 p.m.
Tuesday 17 July, 5 p.m.
Wednesday 18 July, 5 p.m.
Thursday 19 July, 5 p.m.
Friday 20 July, 5 p.m.
Saturday 21 July, 11 a.m.
For more information, visit www.maltajazzfestival.org.